New England Investment & Retirement Group, Inc., a Wealth Management firm with offices in Massachusetts and Naples, Florida is pleased to announce the promotion of Brian Pirri, CFP, MSAS to Partner. The promotion is an example of strength in one of the firm’s core practice areas, building infrastructure and resources. Brian Pirri, CFP, MSAS of New England Investment & Retirement Group, Inc. (NEIRG), A North Andover Ma., investment advisory and wealth management firm, was promoted to partner March of 2018. Brian has over 15 years of experience in the financial services industry, he is a Certified Financial Planner™ as well as an Investment Advisor representative with the firm. Brian states, "I am honored and excited to accept a leadership role as Partner & Principal in the firm. I look forward to continuing to work with our staff to provide top level service and wealth management advice for our clients. I am dedicated to helping the firm in its continued success for many years to come." 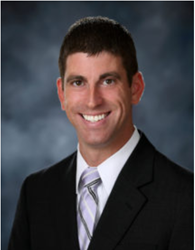 Brian started with NEIRG in 2012 as a financial advisor. Brian’s passion is working with clients such as individuals, multi-generational families and closely held companies. Helping these clients in the areas of wealth management planning, investment strategies and business planning all with the goal to help the firm’s clients achieve their lifestyle and retirement goals. Prior to joining the team at NEIRG, Brian had worked with Boston based Mintz Levin Financial Advisors. He holds a master’s degree in Finance and Economics from Boston University. Brian as a CFP is a charter member of the Financial Planning Association (FPA). "Over the past 6 years that Brian has worked with the firm, he has displayed the skills, character and work ethic that is exemplary of a Senior Leadership Level position. We are proud to have Brian achieving partnership status," says, Nick Giacoumakis, President. Nick Giacoumakis, President of NEIRG. Brian a resident of Windham, NH is married to his wife Michelle. They have 2 boys that keep them busy with sports and town activities. The Pirri’s enjoy being active in the community of Windham. Since their inception in 1995, NEIRG has specialized in providing investment advisory and wealth management solutions to individuals, closely held businesses and corporations. NEIRG's staff of 15 work together to help their clients achieve success. In addition, the staff work with other affiliated professionals such as CPA’s, Attorney’s, Insurance Professionals and Bankers to assist the firm’s clientele in its mission in helping their clients pursue financial independence through unbiased objective guidance. The partnership between the staff of NEIRG combined with some of the finest professionals in the industry provides the expertise necessary in today’s complex financial climate. NEIRG is grateful for our dedicated team that is fully committed to operations through our 2 locations, in North Andover, Massachusetts and Naples, Florida. New England Investment & Retirement Group, Inc.To help our clients pursue financial independence by providing unbiased, objective guidance and by bringing value through communication, education, and exceptional service.